The Cooperative Republic of Guyana has been a struggling economy since its independence. Nations rarely have the opportunity and resources to institute new policies with the potential to dramatically reshape their economic future and create conditions for long-term, sustainable growth. Following the discovery of oil in 2015, Guyana now faces its historic moment to do so. With the promise of oil revenue, Guyana is positioned to seize the moment if the country puts policies in place that use its abundant natural resource to jumpstart their capital markets to finance investment and drive growth. 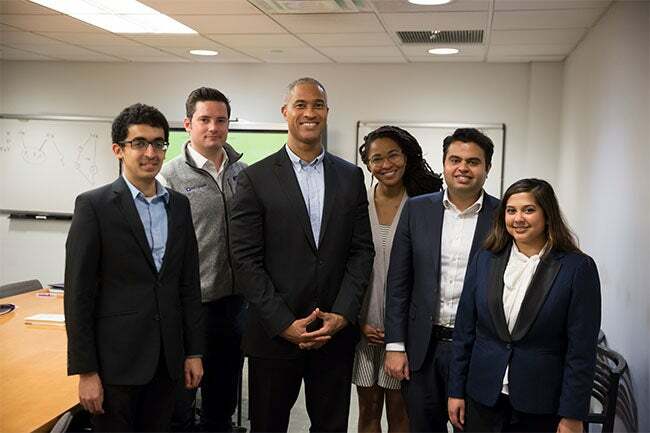 During the Spring 2018 semester, a group of NYU Stern MBA students engaged in a Stern Solutions project to come up with such recommendations, working in partnership with the University of Guyana and advised by Peter Henry, Dean Emeritus and Professor, and an authority on emerging market growth. The project scope originated with guidance and support from alumna Oslene Carrington (MBA ‘95), who is originally from Guyana and who has close ties to the University. The students worked with key players in the public and private sector in Guyana to propose policies and initiatives for sustainable and inclusive growth in the context of this unique opportunity, focused largely on the country’s capital markets. 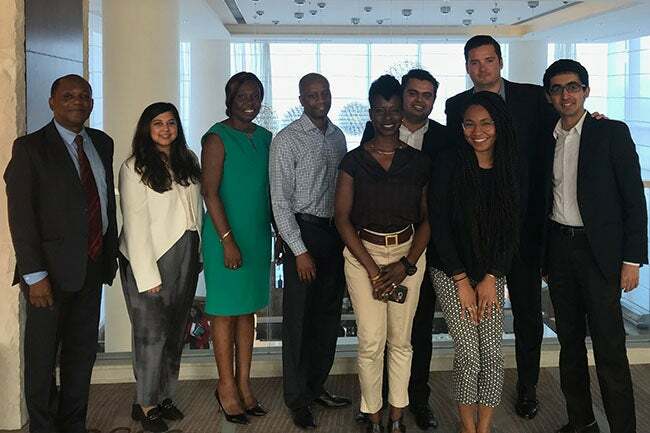 In January 2018, the students, which included Vikram Gulati (MBA ‘19), Anila Mahadeo (MBA ‘18), Nashilu Mouen-Makoua (MBA ‘18), Sean Quinn (MBA ‘19) and Mohnish Zaveri (MBA ‘18), traveled to Guyana, which is a member of the Caribbean Community (CARICOM). They were hosted by the University of Guyana School of Entrepreneurship & Business Innovation and met with the school’s Dean, Dr. Leyland Lucas. Over the course of a week, they met with public and private sector stakeholders, including representatives from the Guyana Securities Council, the Ministry of Foreign Affairs, the Bank of Guyana, the Guyana Securities Council, the Small Business Bureau and the United States Department of State, among others. Upon their return, the students worked closely with Dean Emeritus Henry during the semester to develop a white paper summarizing their research and outlining a suggested path forward. Their recommendations focused on using the expected monetary gains from oil to minimize hurdles to doing business in Guyana, including infrastructure, financial inclusion, transparency and policy continuity. The students outlined their findings in May via a well-received virtual presentation at a symposium at the University of Guyana to an audience that included many of the stakeholders with whom they had previously consulted. Serving as an advisor to the Stern Solutions project in Guyana has been a full circle moment for Dean Emeritus Henry. At the beginning of his academic career, while in graduate school, he served as an advisor to the Eastern Caribbean Central Bank (ECCB). His research at the ECCB contributed to the intellectual foundation for establishing the first securities exchange in the Eastern Caribbean Currency Area. What value has working on a real-world challenge in real time with your peers and in partnership with a professor provided to you as an MBA student at NYU Stern? How has this project impacted your notion of business as a force to create value for business and society, a principle that Dean Emeritus and Professor Peter Henry has spoken about frequently? In January you had an opportunity to travel to Guyana. How did the trip shape the goals of your project, and what the experience was like overall? Describe the experience of working with Dean Emeritus and Professor Dean Henry.